Colorado receives a failing grade from the watchdog group WildEarth Guardians. 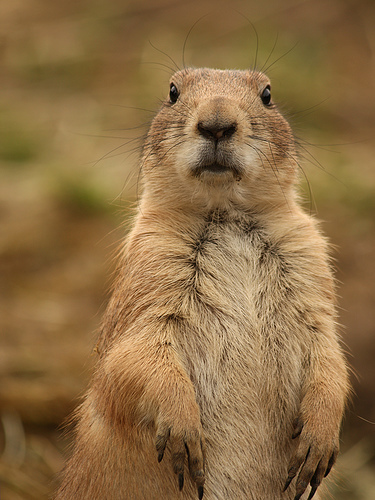 Prairie dogs are important to grassland ecosystems because they are food sources for hawks and the like. Though not high alpine animals Colorado’s failing grade raises questions. For example how will Colorado react to the situation of the pika or alpine ecosystems in danger because of climate change when these areas are often out of public view? A high tech plane and a team of researchers completed the first pole-to-pole flight. Scientists will map out where carbon dioxice is in the atmosphere on this and four subsequent missions. are entering the atmosphere and being removed from it, both by natural processes and by humans,” said scientist Steven Wofsy of Harvard to NCAR. Researchers predict that high-altitude sites will be especially impacted by global warming because plants have a short growing season. Innovative research since 1994 has shown the negative impact warming has on early-spring purple larkspur. “Long-term observational studies in subalpine meadows of the Colorado Rocky Mountains have shown a strong positive correlation between snowpack and flower production by the forb Delphinium nuttallianum. If a warmer climate reduces annual snowfall in this region then global warming might reduce fitness in D. nuttallianum,” the study said. I have seen this flower in abundance on spring hikes above Nederland, Colo. The flower was named after the Latin word for Dolphin because it was thought the buds resembled the aquatic mammals. Personally, I don’t see the resemblance, do you? Since 1994 the study has shown that warming the flowers has reduced their abundance and production. This purple staple of the Rockies matters for more than its dolphin like shape, if it is lost it could have wide reaching impacts on bugs that pollinate the flowers. The larkspur is a sign of spring that pops out of the ground right after the snow melts. The study was conducted with heaters and warming lights – pretty cool! This study and others have shown that climate change doesn’t just mess with one specific species it impacts entire ecosystems and alpine climates are often the first to experience that change. For the full PDF study click here. Currently Carbon Dioxide concentrations are above 380 parts per million, which is above the threshold for a warm climate. A new study, published in the Proceedings of the National Academy of Sciences, released at 5 p.m. yesterday shows that carbon dioxide stays in the atmosphere longer than other greenhouse gases. 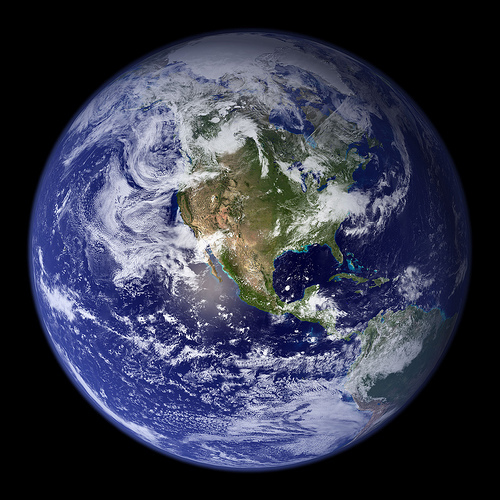 The researchers predict that Carbon Dioxide concentrations will continue to increase and peak at 6oo ppm in some areas. This dramatic increase, researchers say will cause a rise in sea level and droughts reminiscent of the dust bowl. Will the Pika be Protected Under the Obama Administration? Do you think the pika will become the first animal to be protected because of climate change under the Obama administration? Let me know what you think in the comments section below. The environment is a hot button issue these days or it was until the economy tanked and many people in my parent’s generation lost their retirement plans, homes and economic stability. Suddenly climate change coverage seemed less important. But should quality environmental coverage of climate change cease just because the economy took a turn for the worse? Personally I think that we still need to cover climate change. For one thing climate change can affect economies (see Alaska). Furthermore, I think this is the perfect opportunity for digital journalists to serve as independent, curious, accurate and innovative transitional figures. As a digital environmental journalist I think we can cover climate change differently than the media outlets while still adhering to the ideals of journalism. For one we can post relevant stories as they are breaking and update them though out the lifeline of the story from a more personal angle. For example this climate change blog covers the appearance of a flycatcher from a personal perspective while still giving readers access to the traditional story. In the information age we are overwhelmed with information. As digital journalists we can offer the important nuggets to our audience and link to external sites where they can gather more information if they are still interested in the story. Here is an example of how a climate blog covered a protest and how the Times covered it. The blog post is short, funny and links like crazy while the Times piece is just a long string of text. Instead of being proprietary about our material (as some media outlets are) we can share and interact with other bloggers, social networkers and twitter feeds to improve the content of our sites and drive up web traffic. We can appeal to a devoted custom audience instead of a broad audience that may not be interested in the technical aspects of climate change. This means we have to come clean in order to adhere to the ideal of balanced reporting. We may not be neutral when blogging about climate change but we can clearly state where we stand on the issue and even link to sites that disagree with our own opinions and findings. Here is a site that presents climate change in an entirely different manner than my blog. Climate change can be covered differently in the digital medium because we can update material in a more personally meaningful way, share and receive credible material thought he internet collective, and report detailed customized material for a specific audience. These practices will let climate change bloggers reach out and interact with their audience while also following basic tenets of online journalism ethics. For more guidance on blogging ethics click here.